This Birmingham group came very close to making a breakthrough into the record charts early in 1964 during the first wave of the U.K. 'beat boom' as started by The Beatles. They were originally called 'The Plazents' after Mary Regan's well known Plaza Ballroom in Old Hill where the band became the resident act. The Plazents were formed in Erdington by drummer Dave Mountney (from the Beachcombers), guitarists Graham Gallery and Roger Hill (both previously with a group called Bobby and The Dominators) while saxophonist Paul Carter came from Northfield. By 1963, The Plazents had enlisted Buddy Ash from Smethwick, formerly of The Eko's and the Diplomats, as their lead vocalist. While at the Plaza, the group were able to back some well known visiting American artists such as Tommy Roe, Jerry Lee Lewis, Chris Montez, The Ronettes, and many more. 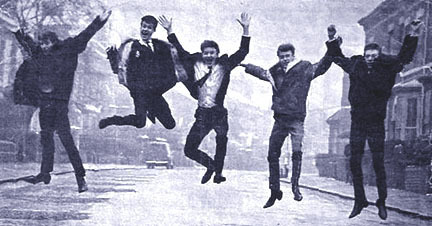 The positive response to The Plazents from the Plaza regulars was such that they were signed to a recording contract by Decca Records in July 1963 although it would not be until September before they could go into the studio due to bass guitarist Graham Gallery having a bout with pneumonia. Decca also told the group to get another drummer so Dave Mountney was replaced by Alan "Bugsy" Eastwood. In order to capitalize on the so-called "Mersey Beat" mania that was sweeping the country at that time, the term "Brum Beat" was being used by some promoters as a means of advertising West Midlands groups who had recently been signed-up. In light of this, Decca Records decided that The Plazents name should be changed to "The Brumbeats" prior to the release of their first single (Note: there was also another 1960's group in Birmingham called "The Brum Beats" whose vocalist Norman Haines would later join the group Locomotive). Decca Records chose a great song for the A-side of The Brumbeats first record release that had been composed by the group themselves. The track was called 'I Don't Understand' with the recording done very much in the style of the popular "Mersey Sound" while also considered as a potential record for well known singer Billy Fury. The song was actually composed by the Brumbeats singer Buddy Ash (Graham Ashford) who wrote the lyrics with the music composed by Graham Gallery and Roger Hill. The record was produced by Mike Leander who had recently made hit records with another Brum band The Applejacks. He would later have much success working with Gary Glitter. Despite radio and TV appearances on shows like "Thank Your Lucky Stars" The Brumbeats 45 of I Don't Understand did not manage to become a national hit although the record sold-out in many Birmingham record shops. A local newspaper at the time published a story on the band titled; "It could be a really fab Feb. for the Brum Beats". The story went on to say; "They are all good musicians - quite a rarity among modern beat groups - and Decca are considering using them as session men." 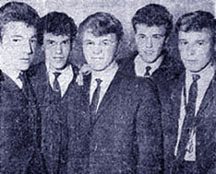 As well as providing support for visiting acts, The Brumbeats had performed on the same bill as The Beatles whenever they played in the Birmingham area. The Brumbeats similarity in their sound to The Beatles was not lost on Decca Records as they were soon involved in a project resulting in the release of a rare 15-track album of Beatles songs as performed by "The Merseyboys" who were really The Brumbeats under a different name. While most Beatles fans would not be fooled by these recordings, the LP stands as a tribute to The Brumbeats as talented musicians and in particular guitarist Roger Hill who brilliantly duplicates both George and John's parts simultaneously as he probably usually did on stage! This album was also issued in the U.S.A. on the famous Vee-Jay Records label - one of the first American labels to promote records by The Beatles. Despite making other recordings for Decca, the Brumbeats unfortunately broke up in early 1965 when Graham Ashford left to go solo before further records could be released. The group later re-formed for a short time with new members Robbie Harper and Alan Buxton replacing Roger Hill and Bugsy Eastwood. Graham Gallery briefly joined the Rockin' Berries and later became a member of "The Midland Light Orchestra". He also worked with the famous Move and Wizzard performer Roy Wood during the 1970s. Graham died in the 1980s at only 35 years of age. Roger Hill went on to other Birmingham bands which included The Uglys and later re-uniting with former Brumbeats drummer Alan Eastwood when they formed the pop/rock group The Exception. Roger enjoyed a successful career as a jazz guitarist until he passed away in 2011 (see Roger Hill). Sadly, Alan "Bugsy" Eastwood also passed away in 2007. Buddy Ash (Graham Ashford) went on to form his own new group in 1965 that was named The Bobby Ash Sound. Graham later moved to Hawaii and now lives in California where he still continues to perform and write songs. Saxophonist Paul Carter was recently discovered in South Africa where he still lives today. Thanks to Graham Ashford for assistance in writing The Brumbeats story.